Note: Please visit the Museum using public transport. There is no dedicated car parking for the Museum. 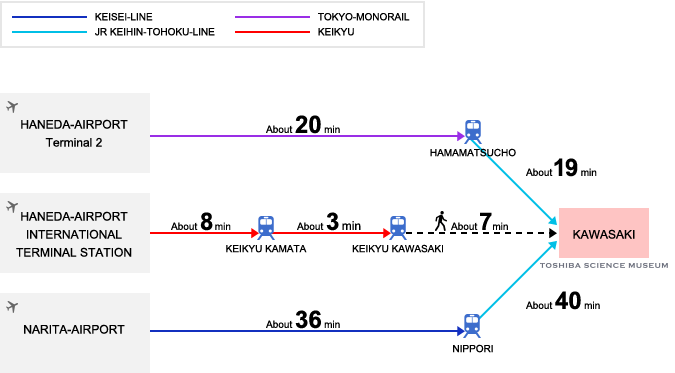 It is convenient to go through Underground space from The Keikyu Kawasaki Station to The JR Kawasaki Station. Come out of the Gate and head to your left. The Toshiba sign is marked on the passage. Keep walking straight and you will see the LAZONA sign. 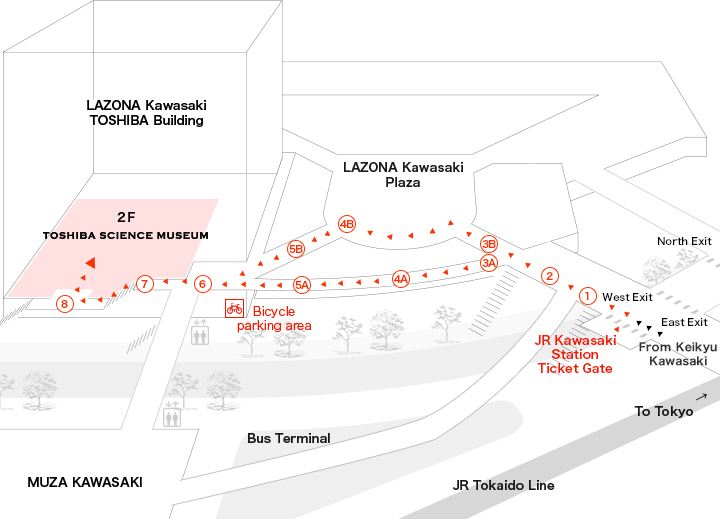 There are 2 routes to the Toshiba Science Museum. Go into the narrow passage on your left. 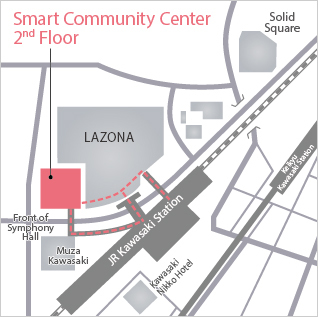 From there on, you will see "Smart Community Center". Turn left when you get to the square. Walk alongside the shops and turn left on the first passage. Go through the square in front of the "Smart Community Center" . And go down the escalator. You will see the entrance of Toshiba Science Museum on your right. There is no exclusive parking space at the museum.